Buncombe County native Dorothy “Dot” Post Hoover, 98, was buried in Asheville following her death on March 15. She was a genuine American trailblazer and hero. Those are not titles she would have likely embraced or even wanted, but still fitting ones for someone like her all the same. For as a member of the Women Airforce Service Pilots, better known by their acronym WASP, she did things that no American woman had ever done before her. The WASP was a group of bright, ambitious young women who, at the outbreak of the Second World War, were looking for a way to serve their country. In 1941 two of America’s most famous women pilots, Jacqueline Cochran and Nancy Harkess Love, submitted proposals to the U.S. Army Air Forces under the command of Gen. Henry “Hap” Arnold to create an all-female non-combat flying unit, the main task of which would be to ferry aircraft and materials to and from various military bases and other locations, as well as serve in other capacities such as towing military gliders and aerial targets for use in gunnery training. Such a unit would free male pilots to go overseas. From Cochran’s and Love’s efforts was born the Women’s Flying Training Detachment (WFTD) and the Women’s Auxiliary Ferrying Squadron (WAFS); the two groups eventually merged under the single title of the Women Airforce Service Pilots. 25,000 women reportedly applied to become pilots but only 1,830 were accepted and 1,074 graduated. Training was rigorous and long, with demanding in-flight training. Following graduation, the new WASP recruits leaped into their professional roles with full-throttle gusto. By the time the group was disbanded in 1944, it had flown over 60 million operational miles from various locations around the nation and the world. During this time they flew nearly every type of military aircraft in existence, from the big bombers to the slick little fighters. In the end, they more than proved their value, not to mention the faith Gen. Arnold had put in them at the start. “I am very proud of you young women for the outstanding job you have done as members of the Air Forces team,” Arnold told the last graduating WASP class. “When we needed you, you came through and have served most commendably under very difficult circumstances.” Barry Goldwater, who helped oversee WASP operations during the war, later said his involvement with the unit was among his proudest achievements. Recognition otherwise was slow in coming to the pilots. It would take another 33 years for them to finally gain official veteran status. In 2009 the WASP at last received the national recognition long due them when they were awarded the distinguished Congressional Gold Medal by the Congress of the United States and the President. If the WASP are now celebrated as heroes, it is largely because of women like Dorothy Hoover. Ms. Hoover, like her colleagues, had a mission and a dream. 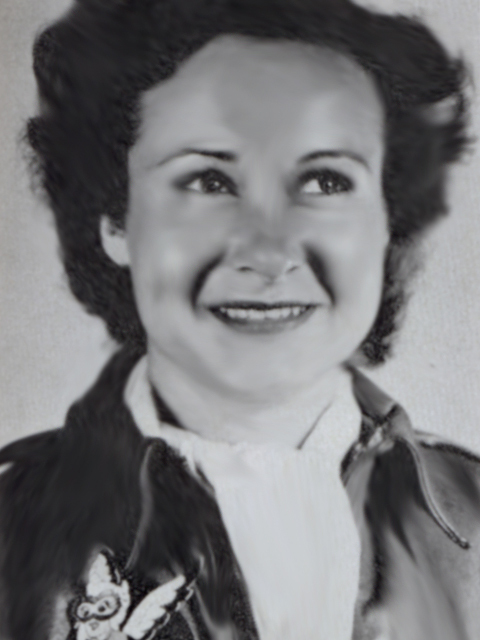 The mission was to serve her nation in its greatest hour of need; the dream was to fulfill that mission through the pursuit of something she loved: flying airplanes. But those things alone were not enough to ensure success. She also had to have the courage, determination and professional competence to achieve her lofty goals. She had all of these in abundance. I believe the legacy of Dorothy Hoover and her sisters in flight is one that will endure and resound down through American history. They serve as a lasting reminder to us all, men and women alike, that amazing things can happen when we have the faith and grit to make our own dreams come true. The WASP taught us something else too: often the most satisfying dreams are not about us alone but the work we do for others. God’s speed, Dorothy.